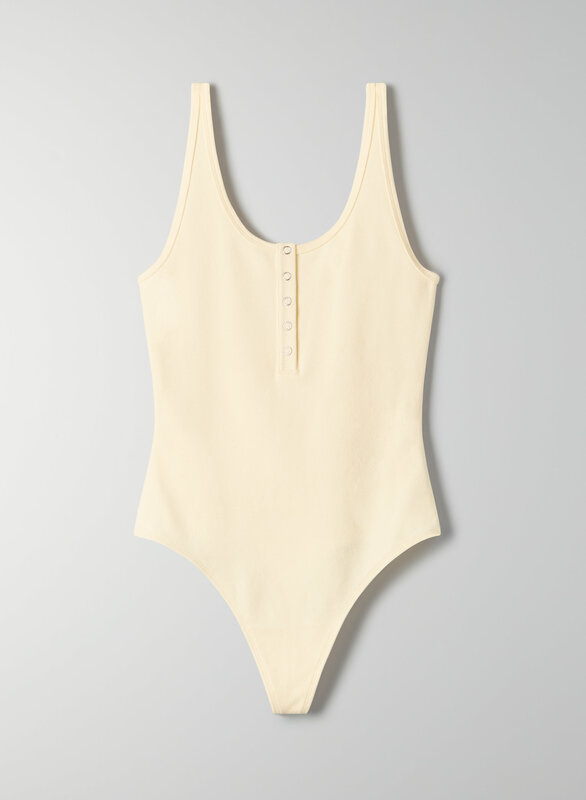 This is a henley bodysuit with snap closures at the chest and a thong cut. It's made with a stretch cotton-blend fabric. Normally a small in all shirts. Found quite tight lengthwise (a bit constrictive “down there”).